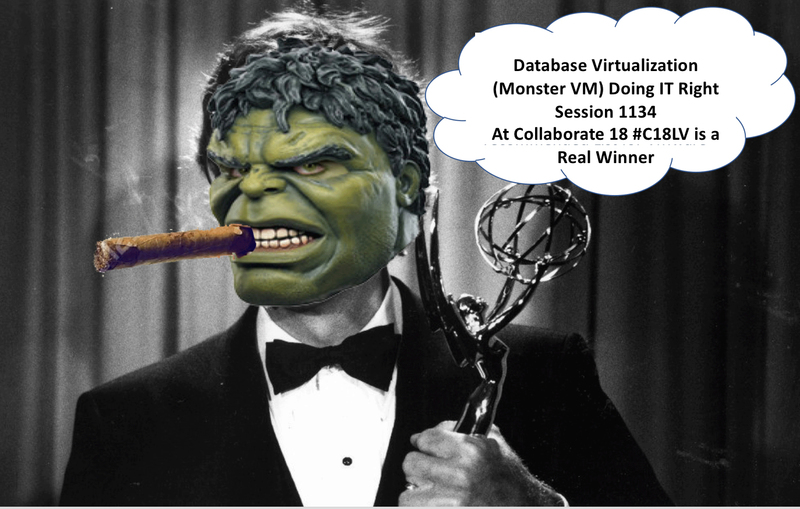 Database Virtualization (Monster VM) Doing IT Right is coming to Collaborate 18. This conference is the top Technology and Applications forum put on by the Oracle community. My Presentation?Database Virtualization (Monster VM) Doing IT Right is based on my Top 10 presentation at Both VMworld?USA and VMworld Europe?Monster VMs (Database Virtualization) with?vSphere 6.5: Doing IT Right (VIRT1309BU). This presentation?covers both Oracle and Microsoft SQL Server in detail. it will also provide very useful information for any complex, resource hungry virtual machine.